"When one of the family members are hurt or sick, the other members of the family gather around to ensure they're OK and safe." 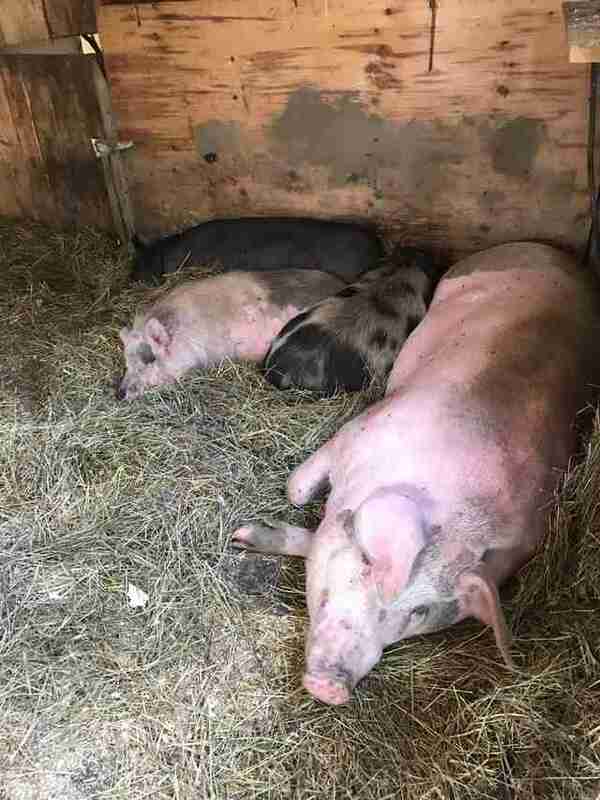 Soon after a pig now named Thomas was born on a farm in Canada, he lost his family — one by one his siblings were sold to slaughter. But it wasn't even worth it to the farmer to sell little Thomas, who was the runt of the litter, so the farmer gave Thomas away to some teenagers who planned to roast him. But by a stroke of luck, that isn't what happened at all. An animal lover intervened and convinced the teenagers to spare Thomas' life. His rescuer arranged for Thomas to go to Happy Tails Farm Sanctuary last year, and he's been there ever since. 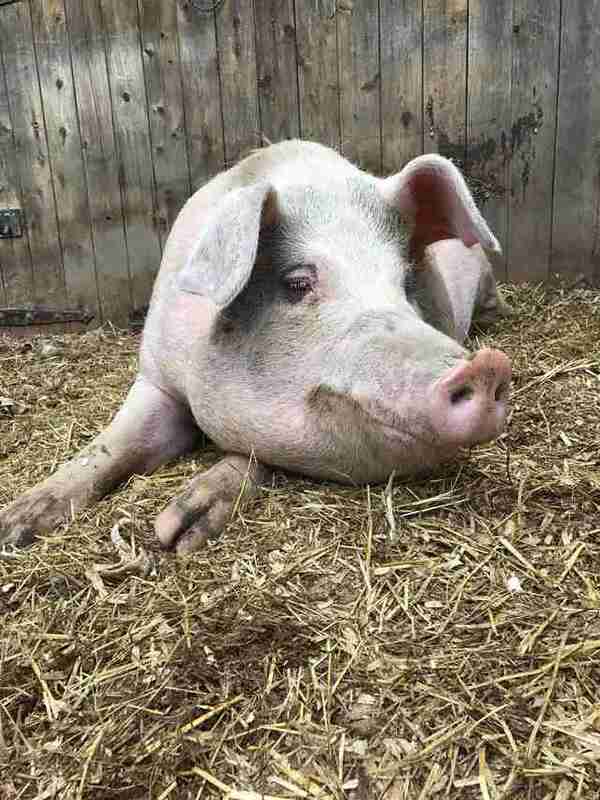 Something amazing has happened for the rescued pig, who was never supposed to survive. 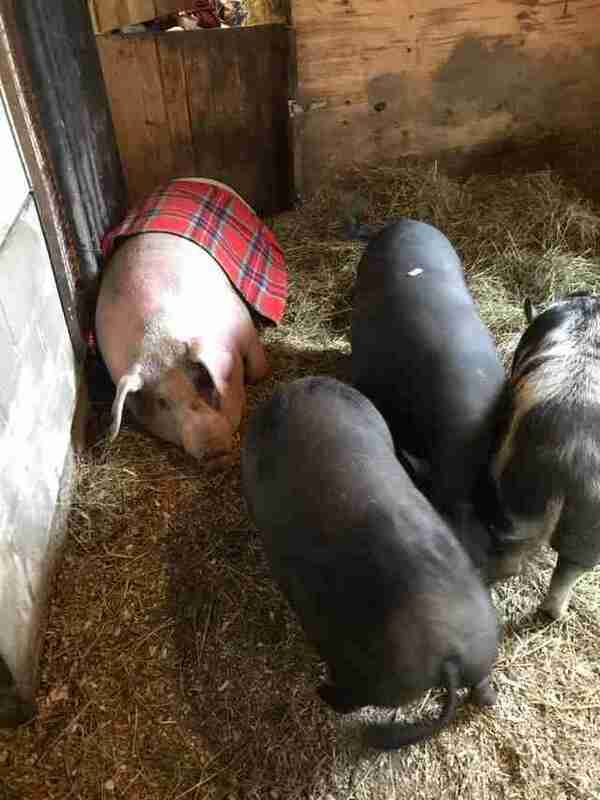 He's bonded closely with the other pigs at the sanctuary. And their bond shows. Just recently, Thomas slipped in the mud and twisted his ankle, so he went to rest in the corner of the barn. Soon after, his friends rushed to his side, knowing something was wrong. And Carla Reilly Moore, cofounder of the sanctuary in Kingston, Ontario, snapped photos of the moment Thomas' friends showed their concern. 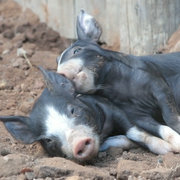 "I wanted to show you something that is amazing about pigs," Moore wrote. 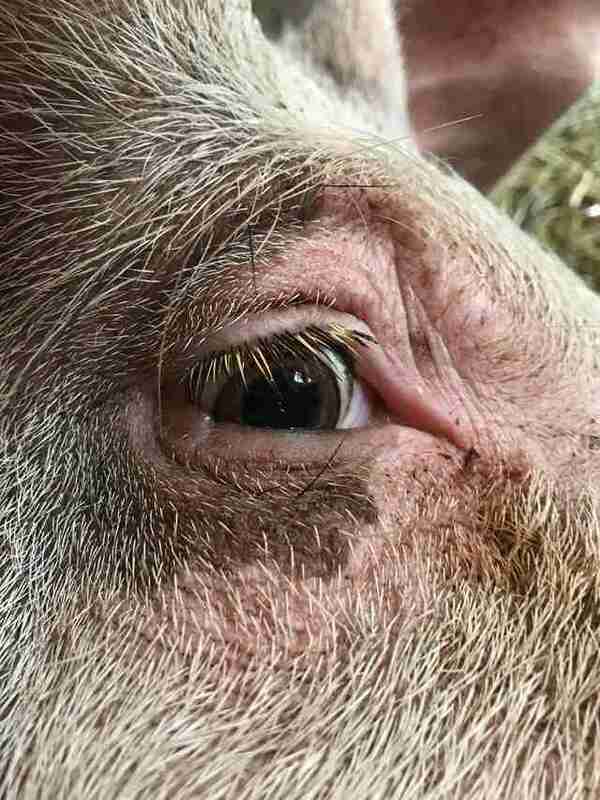 "Pigs are herd animals, and much like humans, care about their families. When one of the family members are hurt or sick, the other members of the family gather around to ensure they're OK and safe. This is just one of the many things I love about pigs!" Thomas' friends curled up next to him on the hay and kept him company while he rested. 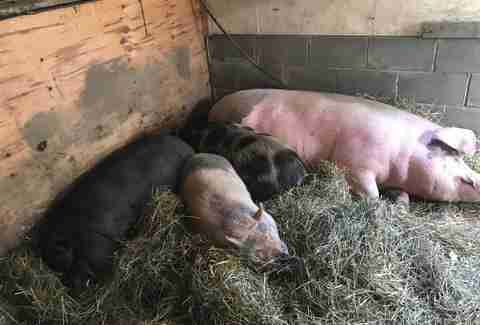 "It is so important for these pigs to stay within their herds," Moore told The Dodo. "They get highly stressed and depressed when herd members pass away or leave." With the love and care Thomas is getting from the people and animals at the sanctuary, he's expected to be up and running again in no time — a privilege unavailable to so many. 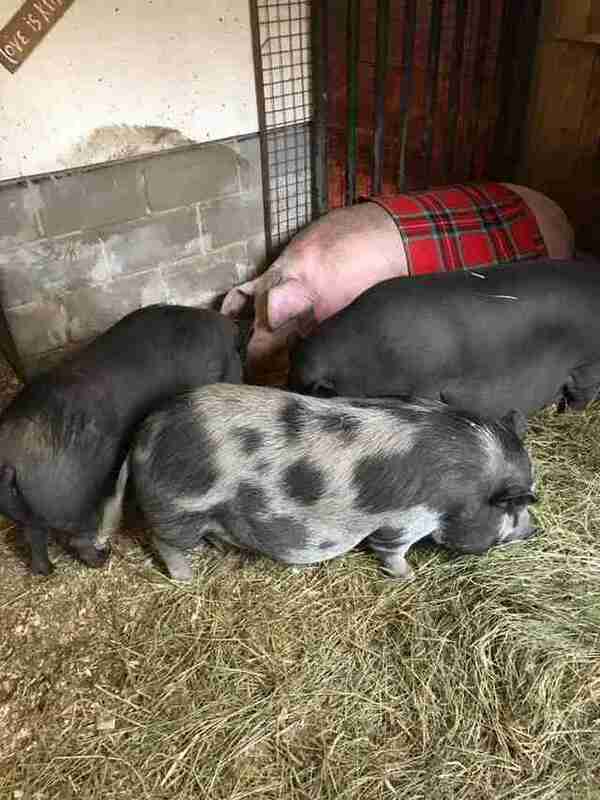 "It breaks my heart to think of these poor animals in factory farms, or all of the potbellied pigs who are rehomed when they grow too big," Moore said. "For them, their herd is their people!" To help Happy Tails Farm Sanctuary care for its special residents like Thomas and his herd, you can make a donation.